The two digital kits we have on sale today have arrived just in time for Spring and Easter. I just love the colors and graphics in this line. 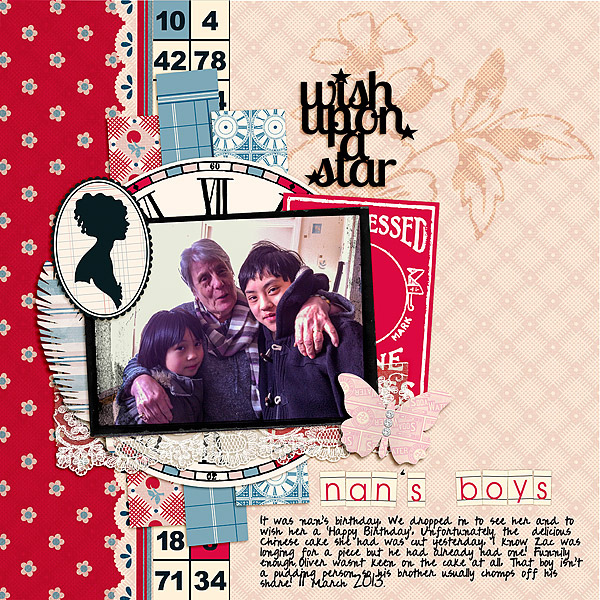 This kit is versatile and can be used for a multitude of themes. Susie Moore used the die-cut clock graphic as a striking focal point in the corner of her layout. 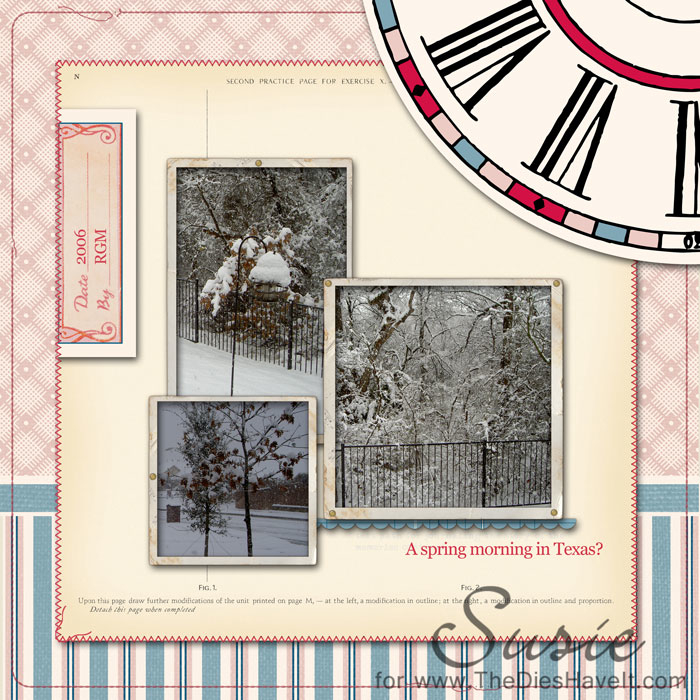 Audrey Tan combined strips of the patterned paper with a smaller version of the same clock image to matt her photos. Her embellishments are so very sweet! Showcasing Be My Guest collection. Our Easter Bingo Card Kit is also on sale for only $1 today! Can't you think of a million and one things to do with this kit for Easter?! I can't wait to get scrapping with this! Thank you Audrey and Susie for your wonderful pieces of inspiration!